Did you know that 90% of all work place eye injuries can be prevented by wearing safety glasses or safety goggles? Wearing proper protective eyewear that keep your eyes safe should be a number one priority. Why risk losing precious eyesight when wearing safety glasses or protective goggles can keep your eyes safe for a lifetime of good vision? Safety glasses and safety goggles must conform to a higher standard of impact resistance than regular eyeglasses. 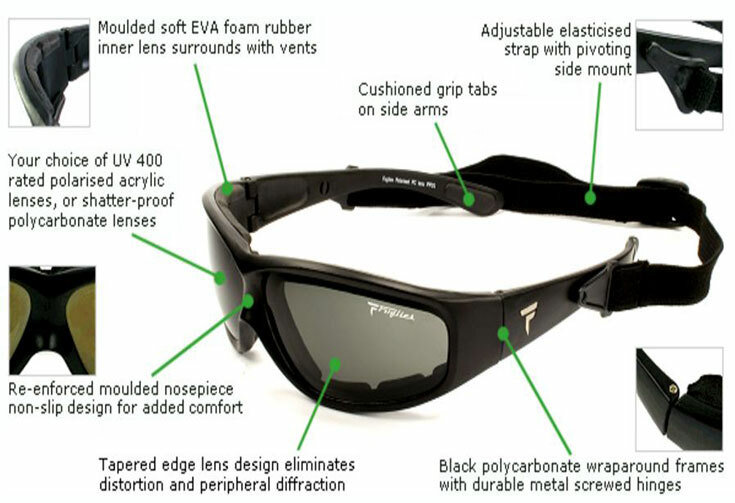 This higher standard applies to both the lenses and the frames. Regardless of their size or the durability of the frame and lenses, regular prescription eyeglasses do not qualify as safety glasses unless they meet specific criteria. Do you know what proper protective eyewear is? Please let You & Eye Optical educate you. There are 2 forms of criteria for complying with Australian Standards. Polycarbonate Lenses are the strongest material for impact resistance. Polycarbonate is light weight and can be coated for scratch resistance. Most polycarbonate lenses have ultra violet protection built in. Safety lenses now have two classifications of performance: basic impact and high impact. Keep in mind that polycarbonate is a much softer lens material than glass. Even with a scratch-resistant coating, polycarbonate lenses will scratch more easily than glass lenses. The manufacturers or suppliers logo is etched on all approved safety lenses. Safety frames are both metal (conductive) and plastic (non-conductive). They are stronger than street wear frames and are often heat resistant. These medium impact frames need to suit a range of environments and patient requirements. For instance, metal frames would not be suitable for electrical work. The manufactures or suppliers logo is etched on all approved frames, non-removable side shields and other parts of the safety frame, helmets and goggles. • In the case of cuts, punctures or embedded objects, do not wash the eye or try to remove objects. • In the event of chemical burns or dust in the eye, flush the eye with plenty of cold water for at least 15 minutes. • If an eye injury occurs, see an optometrist or ophthalmologist or go to your nearest hospital as soon as possible. The full extent of the damage is not always apparent and even a seemingly minor injury may cause permanent damage if it is not treated immediately.